Futura Logistics Corp. is a privately-held, family-owned corporation. 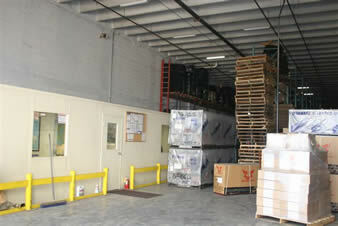 Futura Logistics Corp was founded in 2004 as a public warehouse company in Miami, Florida. Today, Futura Logistics Corp. is one of the nation's leading third-party logistics providers (3PL). That single warehouse has grown to 3 facilities and over 37,000 square feet of warehouse space in 2 states and South America. Futura Logistics Corp. currently provides logistic services for many industry-leading, Terra Network USA, Daelim Motors USA, Zonghen, RTM Group, Euro Logistics, ALL Over USA, Vivai, Broom USA, Quest Logistics and Concept Brokerage Inc and more. Its Contract Warehousing Division manages 50+ facilities for the pharmaceutical, automotive, food, textile, and appliance industries. In addition to growing in size, Futura Logistics Corp. has also greatly increased the number of services it performs. The company now offers comprehensive logistic services ranging from warehouse logistics to labeling, packaging, returns processing, transportation management, information technology, engineering support, lift truck sales and service, record storage, and building equipment. Futura Logistics Corp. offers a transportation management system solution using Lean Logistics’ best of class products. Lean Logistics meets the latest needs of major shippers of goods with its far-reaching, Web-native Transportation Management System -- On-Demand TMS™. Customers reduce their transportation cost and increase efficiency with a typical payback of less than one year - Return on Cash™.